Kingville School’s history is listed below the photographs. 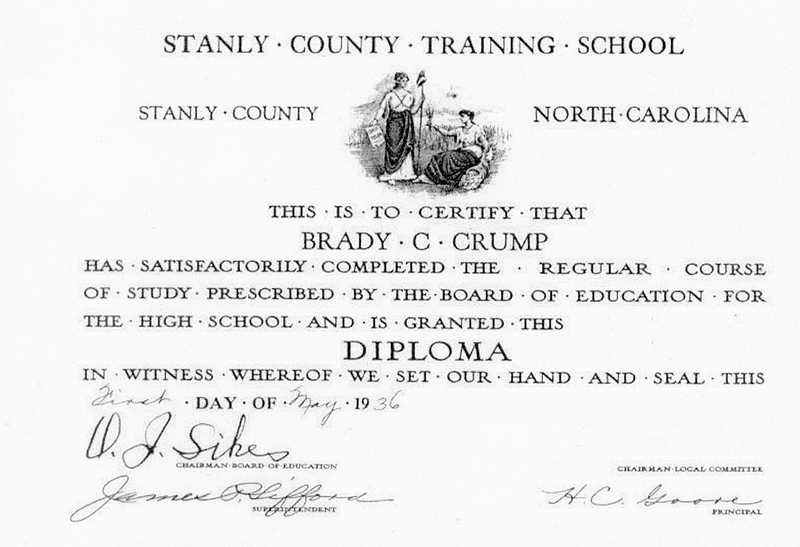 In 1936, Stanly County built new brick school buildings in Norwood and Kingville. 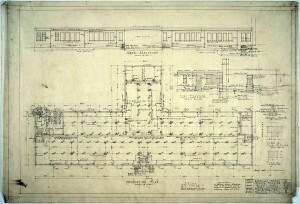 Below are links to Kingville’s architectural plans. 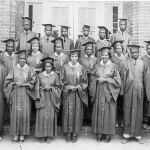 The Rosenwald Fund, a national philanthropic organization devoted to erecting educational buildings for Southern African American children, subsidized the completion of six one-story, gable-roofed, weatherboarded schools in Stanly County during the 1920s. 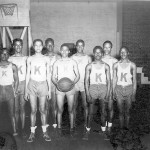 Beginning in 1921, Albemarle’s African American youth attended Kingville School, which, although located on the south edge of town, was operated by the county school system. 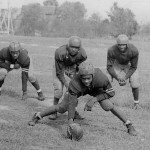 The campus initially comprised three classrooms, with a fourth added in 1922 and a teachers’ home the following year. 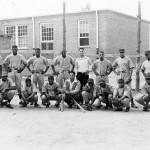 Albemarle, contractors finished the one-story brick West Elementary School for white students and the one-story brick Kingville Elementary School to serve African American students in 1937. The Stanly County school board had allocated $43,000 for Kingville Elementary School’s construction and furnishing cost. 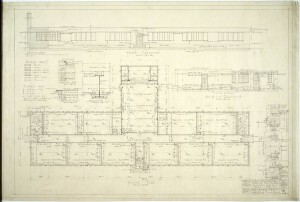 Designed by Winston-Salem architects Northup and O’Brien and Salisbury architect Thomas H. Yoe and erected by Charlotte-based Little Building Company, the structure that stands at what is now 621 Wall Street in Albemarle replaced the frame Rosenwald school that had occupied the site. Continued population escalation required campus acquisitions and improvements. 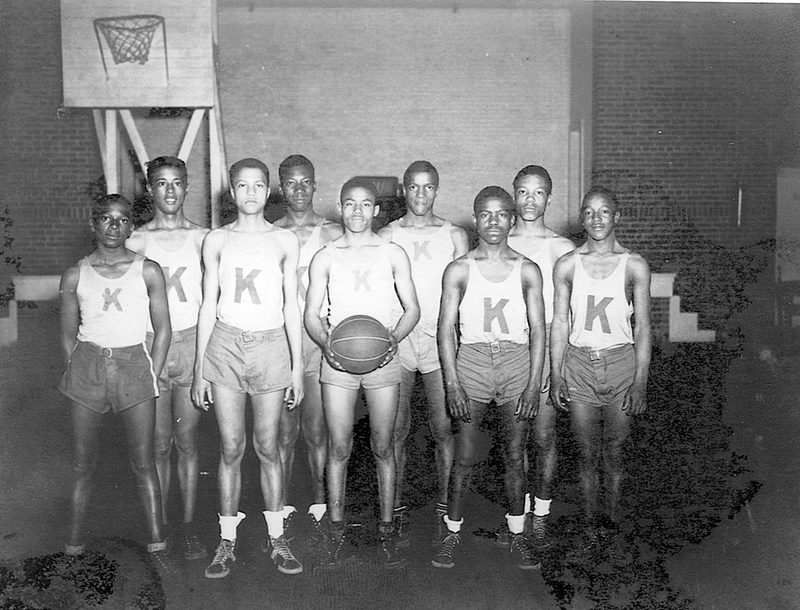 Kingville Elementary School became part of the Albemarle school system in 1949 and received a cafeteria that year. 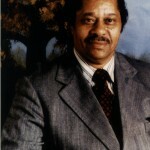 At Kingville School, principal E. E. Waddell supervised seven elementary-grade teachers and four high school-level faculty. In 1954, contractors finished a gymnasium and a second classroom building on the Kingville campus. 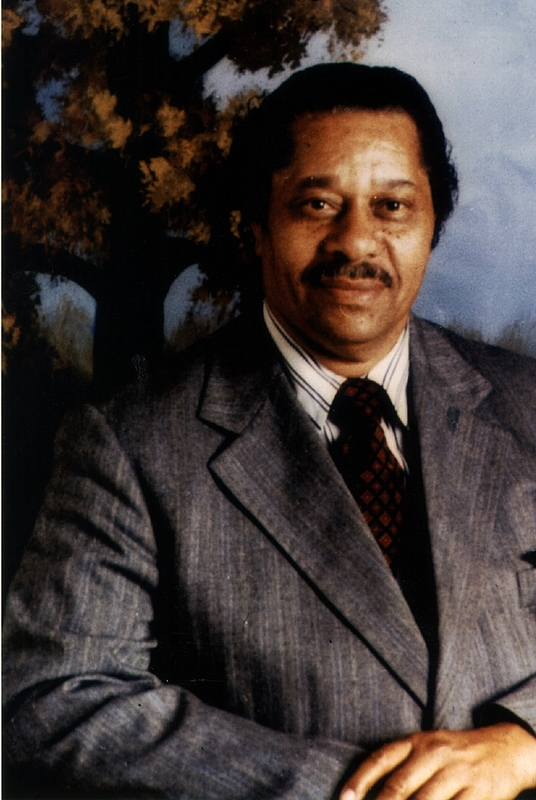 In 1964, the former Kingville Elementary School campus, then known as South Albemarle School, gained an auditorium designed by William Henley Deitrick’s successor firm Guy E. Crampton and Associates. 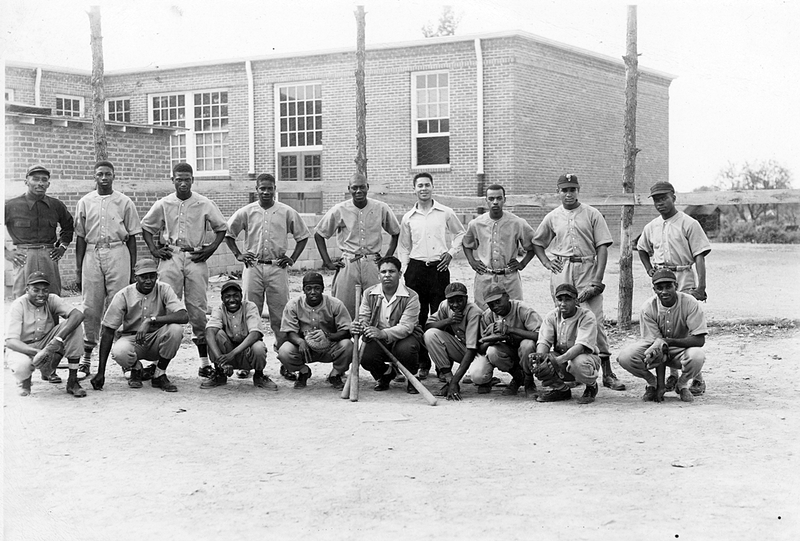 Although the U. S. Supreme Court decreed school desegregation in 1954, most North Carolina municipalities took more than a decade to integrate. 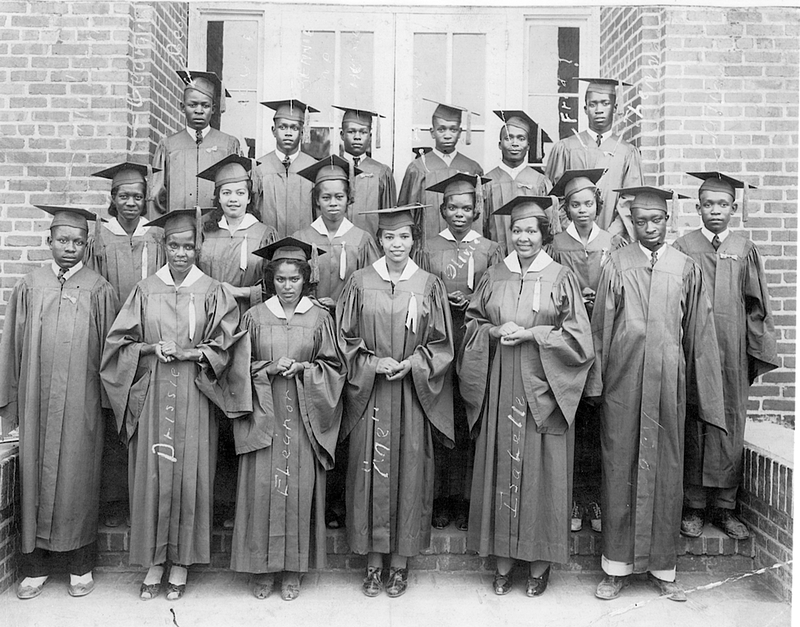 In response to a selective integration bill passed by North Carolina legislators, the Charlotte, Greensboro, and Winston-Salem school boards allowed African American students to apply for admission to white schools in the summer of 1957. 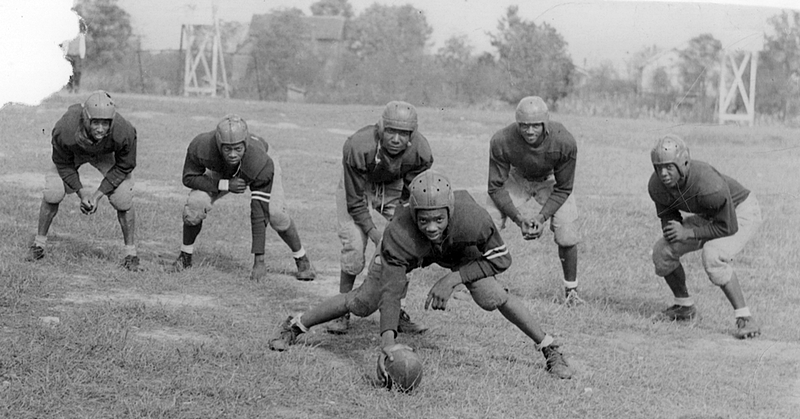 However, it was not until 1965 that the Albemarle school system implemented its initial integration measures. In order to facilitate the process, Stanly County began its largest school consolidation campaign in 1961, converting ten existing county high schools to elementary schools and erecting three new high school campuses. Campus integration began during the 1965-1966 academic year, when Albemarle City schools included four elementary schools—Central, East, West, and North—that served first through sixth grade students. 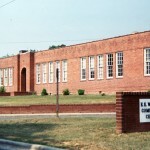 Albemarle Junior High School housed seventh through ninth grades and Albemarle High School tenth- through twelfth-grades. South Albemarle School accommodated all twelve grades. 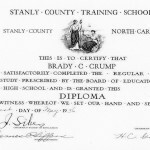 The Stanly County public school system achieved complete desegregation in 1968. 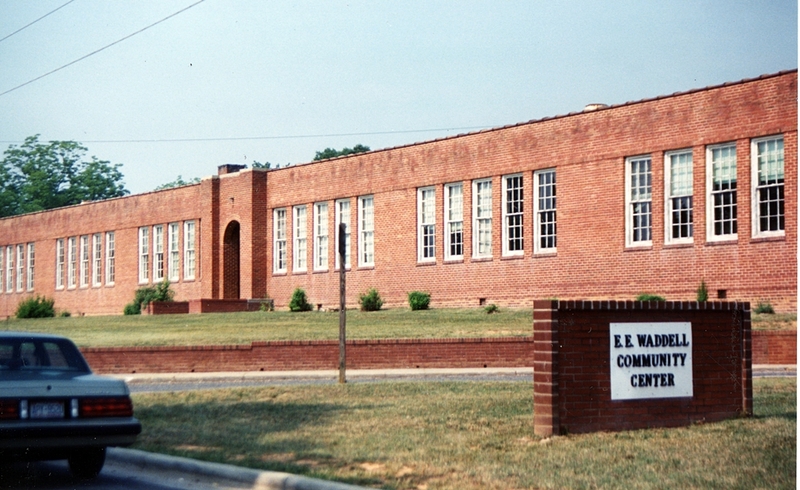 That year, as part of the reorganization, South Albemarle School closed and the complex successively served as a technical institute, a day care center, and beginning around 1982, as a community center. The Albemarle City and Stanly County school systems merged in 1996.